Italian painter. In 1529, after studying with Raffaello dal Colle, he went to Florence, where he became one of Vasari s most steadfast followers. His figurative training provided him with a minute, analytical language, which he often grafted on to Vasari s compositional schemes to produce an effect of refined elegance. 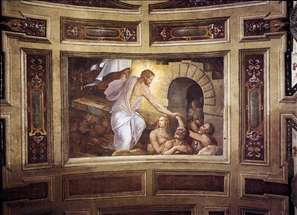 His works bear the stamp of the Tuscan-Roman Mannerism of Giulio Romano, Perino del Vaga and Francesco Salviati, not to mention its originators Michelangelo and Raphael. The first work he completed under Vasari was the sgraffito decoration, in 1534-35, of the garden faade of the Palazzo Vitelli alla Cannoniera, Citta di Castello. In 1537, accused of plotting against the Medici, he was exiled from Florence. 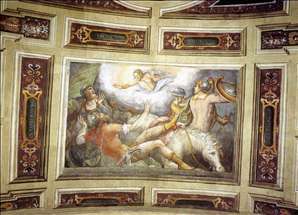 In the following years, in collaboration with Raffaello dal Colle and Dono Doni (d 1575), he executed the frescoes (destroyed) of the Rocca Paolina, Perugia. 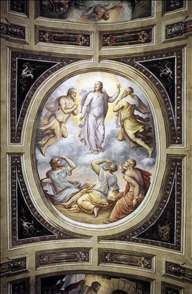 Between 1537 and 1554 he produced the important cycle of mythological paintings for the Castello Bufalini, San Giustino, and between 1539 and 1542 he and Stefano Veltroni (fl 1536-51) painted the frescoes of grotesques and views of the principal Olivetan monasteries in the refectory of the Convent of Monte Oliveto, San Michele in Bosco. In 1546, after a period in Rome and Naples, Gherardi again worked with Vasari, on 18 panels depicting scenes from the Old and New Testaments, the Four Evangelists and the Doctors of the Church for the sacristy of S Giovanni Carbonara, Naples. 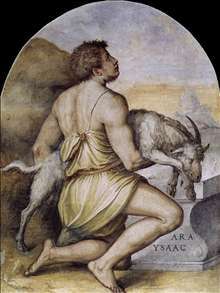 In 1554 he was pardoned by Cosimo I de Medici and was able to return to Florence. 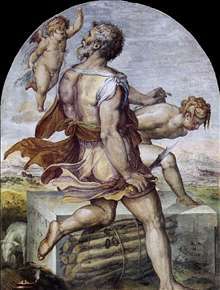 There, alongside Vasari, he began his last work, the frescoes (1555-59) depicting allegorical and mythological subjects in the Quartiere degli Elementi, Palazzo Vecchio. These, however, remained incomplete after Gherardi s sudden death. See more details about "Descent to Limbo"
See more details about "Abraham"
See more details about "Isaac"
See more details about "Transfiguration"